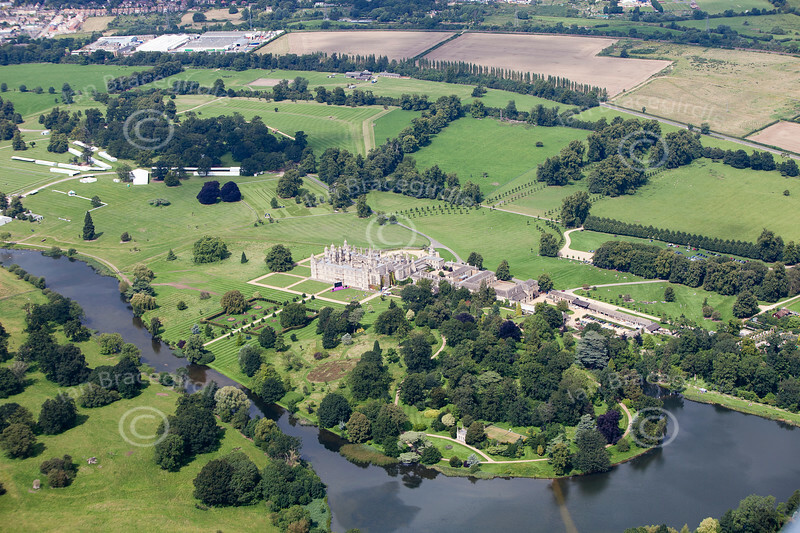 Aerial photos of Burghley House in Lincolnshire. Aerial photograph of Burghley House. An aerial photograph of Burghley House near Stamford in Lincolnshire.